Mini Sports balls are lightweight mini-replicas of their larger counterparts and feature authentic detailing. All mini sports balls can be printed on one or more sides. Sports balls appeal to millions of sports fans. Mini footballs and basketballs make great hand-outs at sporting events or sports promotions. Made in the USA. Call 706-374-0710 for a FREE quote and to put our	years of advertising and promotional experience to work for you. 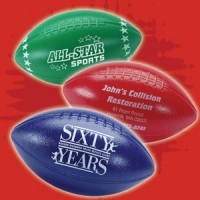 6" plastic mini footballs have authentic detail, are durable with a lightweight construction. Imprint area is 2-1/4" x 1-1/2". 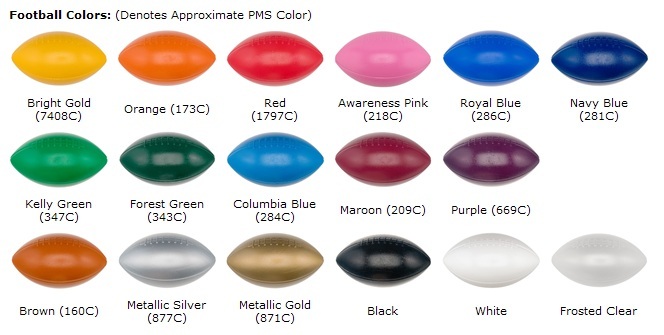 Mini Footballs come in a variety of sports colors. 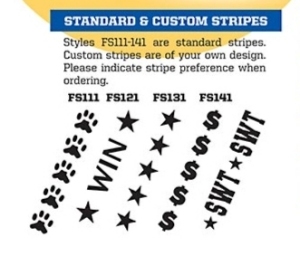 Custom stripes are also available. 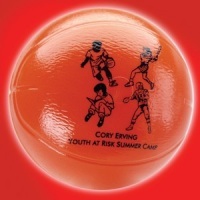 3-3/4" plastic mini basketballs have authentic detail, are durable with a lightweight construction. Imprint area is 2-1/4". Mini Basketballs come in a variety of sports colors. Our USA Made Mini Sports Balls are very popular sports promotional handouts! Be sure to order plenty for your next big event.